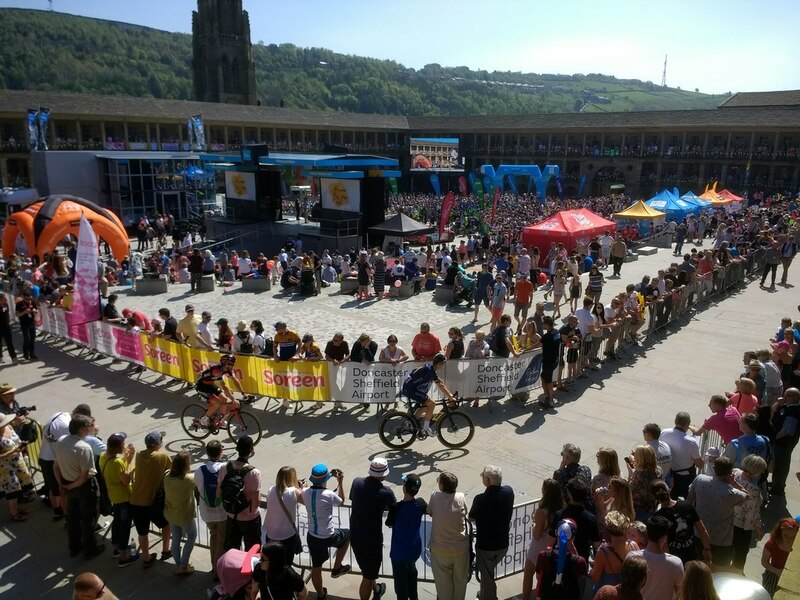 On the 1st August 2017 the Halifax Piece Hall re-opened after a £19million regeneration. As Paul Blakey MBE (founder of Street Angels and CNI Network) stood in that place, along with 22,000 other visitors on that day, he was overwhelmed by what was happening! Cash machines ran out of money, every cafe and restaurant was packed and people were queuing to get in them. The atmosphere in the town had lifted, people had travelled from miles around to be part of the day and the opening attracted national media attention. As he stood on the balcony, taking pictures, he felt God say to him "pray for the peace and prosperity". Later he looked this up and found the verse in the Bible, "Seek the peace and prosperity of the city... pray to the Lord for it, because if it prospers you too will prosper" (Jeremiah 29:7). This idea that as Christians we are in some way responsible for the peace and prosperity of our city (or places to make it applicable to those in towns, villages, communities as well as cities) would not go away! Paul had a renewed passion for seeing communities transformed, for believing for better, for praying and working towards the peace and prosperity of places. The church should be leading the way in this stuff! One response was the setting up of Calderdale Chaplains with Halifax church leader Neil Deakin (and others) in his local town - to get alongside those who work or run a business in the Piece Hall - so that local Christians can be part of this journey towards a more prosperous town, borough, region and nation linked to that place (and others as Calderdale Chaplains expands). He then had the vision for the4Ps - PRAY, PEACE, PROSPERITY, PLACES - as a way of encouraging and challenging others to join this quest. In reality we want this for every community, every place! We want to believe and work towards the best a place (and the people who live, work or visit) can be. This is God's heart - the value he sees in us and communities never changes, no matter how messed up, screwed up, torn apart we / they become. God loves us so much he is always wanting us to become the best version of us we can be! The same is true for communities and we have a part to play in that! So the4Ps has become a quest - a quest for better, a quest to celebrate the good, a quest to join the history of God at work in our places, a quest to leave a legacy for future generations - a quest of "God's Kingdom come, God's will be done, on earth - in our places - as in heaven". Connect with us on Facebook. Connect with God, connect with others to PRAY for the PEACE and PROSPERITY of your PLACES! Its an exciting, community changing, life changing challenge - but its what the church exists for!